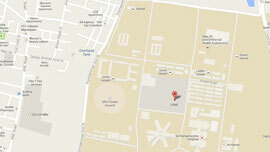 Department of Transfusion Medicine was started in the Year 2010, located in an area of around 8000 sq. ft. 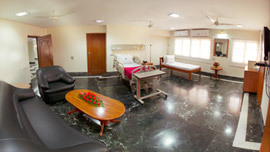 It is considered the state-of-the-art providing an adequate infrastructure for various activities related to Immunohaematology and Blood transfusion. We provide care for more than 20,000 patients annually for both inpatients and outpatients. Sri Ramachandra Blood Bank is AABB accredited and is committed to providing quality transfusion services following approved standards using a professional team to achieve user satisfaction. It caters to the needs of Sri Ramachandra Medical College Hospital and Sri Ramachandra Medical Centre. 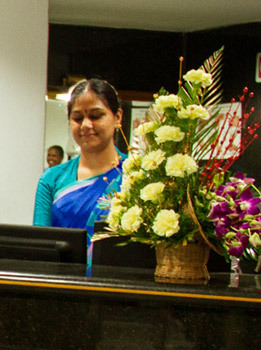 It is equipped with state of the art equipment in the blood bank. Blood banking is the process that takes place in the laboratory to ensure that donated blood or blood products are safe before they are used in blood transfusions and other medical procedures. Blood banking includes typing the blood for transfusion and testing for infectious diseases. 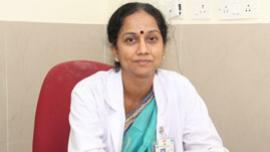 Professor of Immuno Haematology & Blood Transfusion, Sri Ramachandra Medical College & Research Institute. Dr. Vinodkumar Panicker, is the Head of the Department of Transfusion Medicine at SRMC and Professor of Immuno Haematology & Blood Transfusion, Sri Ramachandra Medical College & Research Institute at Sri Ramachandra University. He is a graduate of Kasturba Medical College, Mangalore. He completed his Post Graduate training MD (Pathology) at the same institution. He has served in the Department of Pathology as a faculty for 27 years, the last twenty of which was also as Head of the Department of Blood Bank/ Transfusion Medicine. 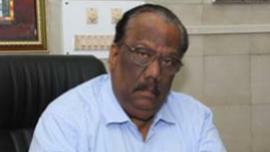 In addition, he served for five years as Deputy Medical Superintendent of the Hospital. Dr. Vinod Kumar Panicker is best known for his work in Transfusion and Transplantation Immunology as well as Immunofluorescence for which he has developed a team to carry out the related procedures.